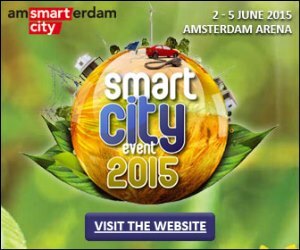 From the 2nd until the 5th of June 2015 the Smart City Event will take place for the 5th time in Amsterdam, The Netherlands. This large scale European conference hosts various cities, system operators, energy companies, industrial organizations and technological parties. They come together to share knowledge on how to achieve a Smart City. Projects where climate ambition and energy transition are the main focus point. Amsterdam Smart City is official host of the Smart City Event and Edso for Smart Grids is one of the partners of the event. Over 500 international parties from 30 different countries attended last year! The real focus point is to realize Smart City projects. Projects that cities have already implemented. Innovative business models, collaboration between the government and the most innovative technical solutions. Visit www.smartcityevent.com for more information. 20% discount Because Edso for Smart Grids is one of the partners of the Smart City Event, relationships of Edso for Smart Grids receive a discount of 20%. You can register yourself (and your colleagues) via this special link: http://bit.ly/1AZAzNT or write down the code ‘Edso’ at the discount field on http://bit.ly/1GRayph. The discount will be applied to your invoice.